This product is expected to ship on Wednesday, April 24 if you place your order within the next 18 hours and 44 minutes. 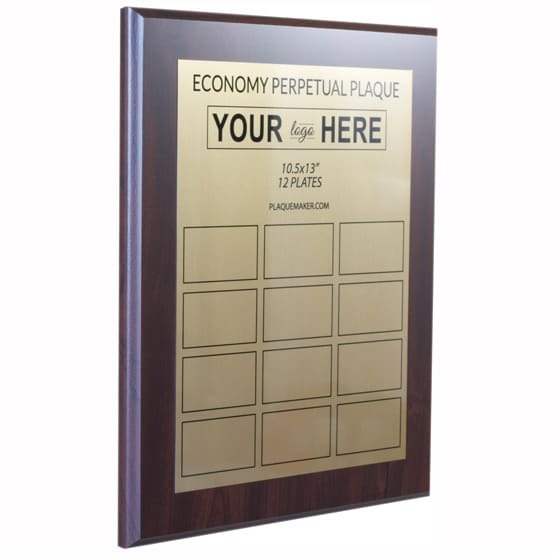 Create personalized economy perpetual plaques at PlaqueMaker. 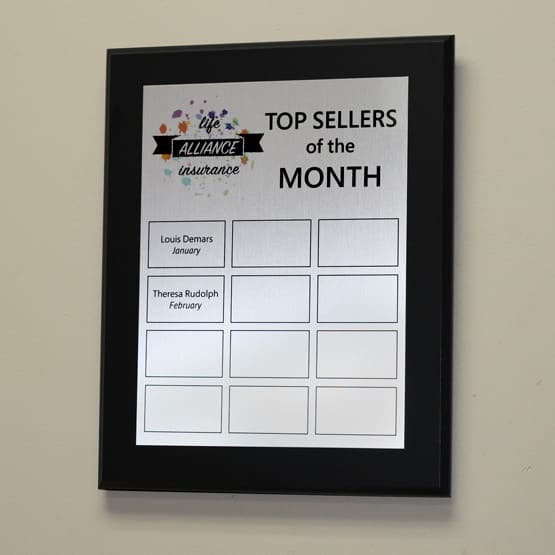 Perpetual plaques are a fantastic way to celebrate achievements, monthly, yearly, or at any interval. This economy perpetual is ideal for those on a budget who still want a handsome plaque. Great for recognizing excellence at your business or to show the relatives who won the annual Thanksgiving family football game. 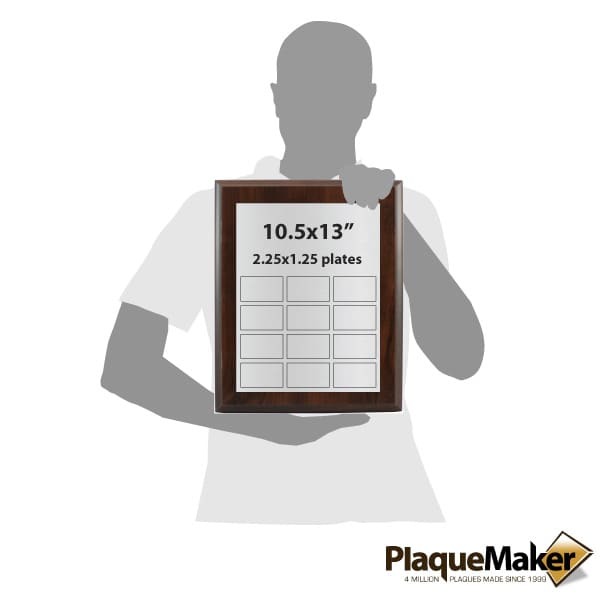 When it is time to update the plaque simply complete the Reorder form. Overall Size: 10 1/2 x 13"
Excellent Product Customer Service was better than any other online order place I have worked with. Due to decision by committee, we had many changes and Plaquemaker was very patient with me. I recommend them highly. Excellent work - very worthy to hang in our office! Easy to buy and dedign. Called with a few questions and customer service was great! Plaque arrived on time looks great! Better in person than on the website.